Here are my favourites from this past month! 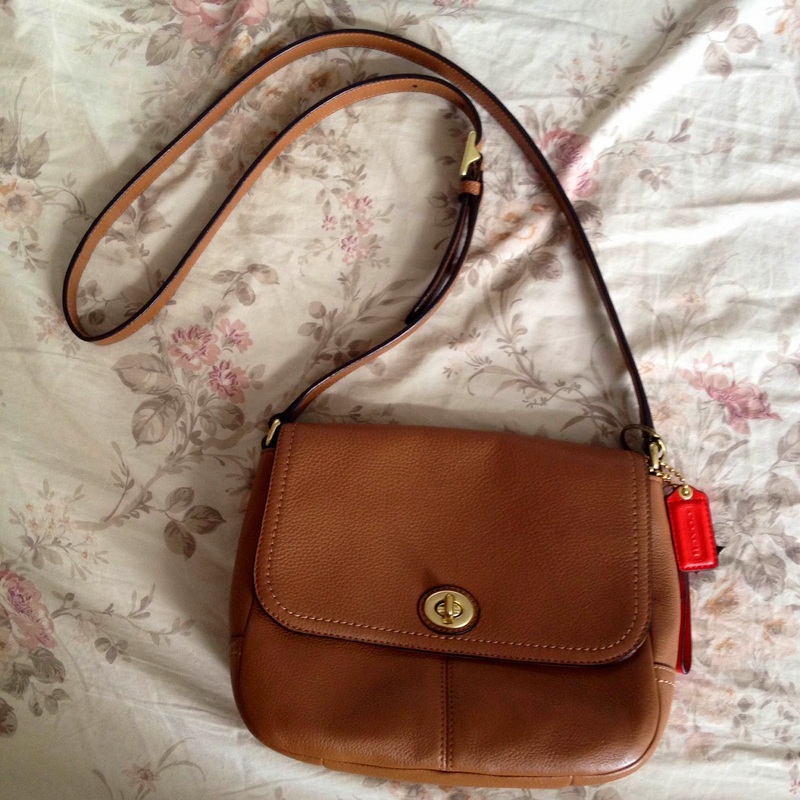 I purchased this from the Coach Factory Store at the Fashion Outlets, Niagara Falls USA last summer and I've been gravitating towards this out of all my purses in June. This design--a brown leather cross-body purse-- is a classic. Many Coach products tend to have their characteristic pattern with the "C"s on their merchandise but I actually like how this one doesn't have that. The little red tag that says the name is more than enough to broadcast the brand. The leather is so soft and the shoulder strap is adjustable. 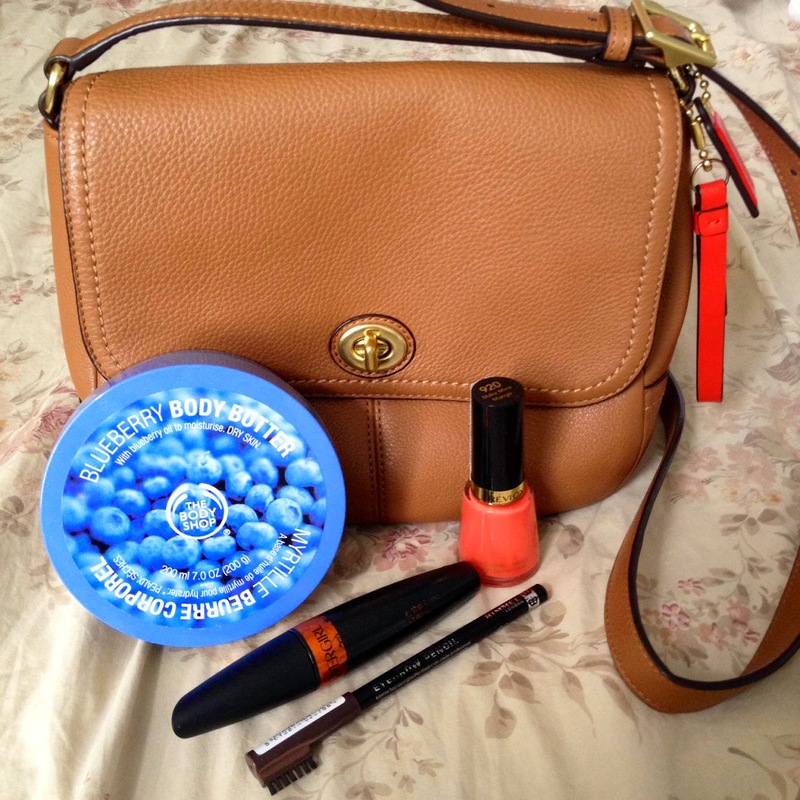 There are pockets/compartments on the outside and inside which makes the purse very functional. The purse closes with the twisty clasp which I like more than than buttons or magnet clasps because they're less easily broken. It surprisingly can hold a lot of stuff than how it looks to be. If you are looking for a new, high quality purse, be sure to go to the Coach outlets for the deals! I'm glad that I was able to find this. 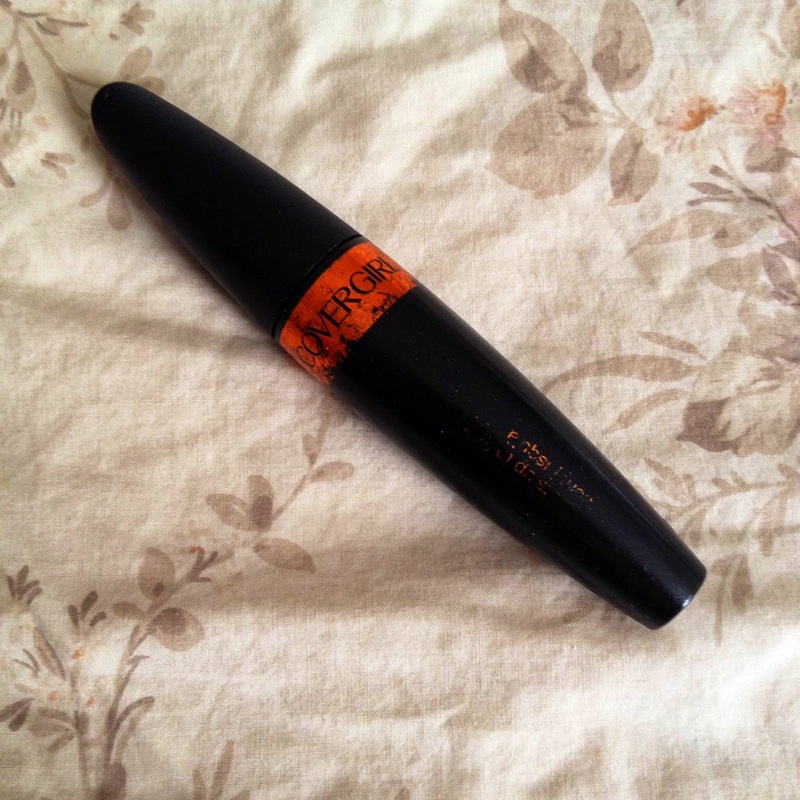 This a great mascara that you can find at the drugstore. It's definitely well used by me as you can tell with the packaging rubbing off. The formula is very smooth and doesn't clump up on my eyelashes. 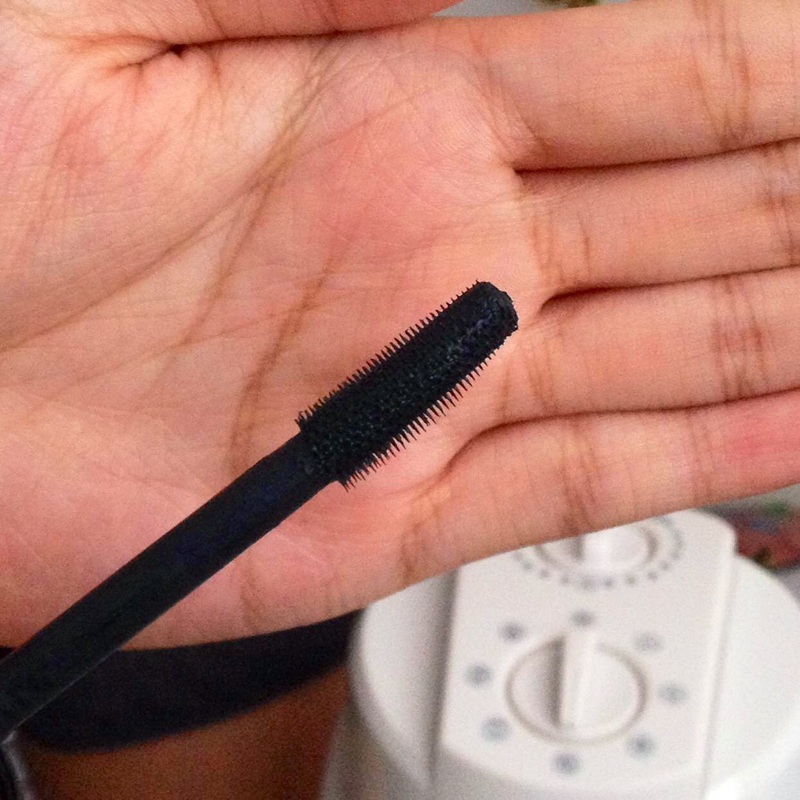 It is also waterproof, as the name of the product says, but the waterproof aspect also helps hold the curl in my lashes. I don't have super long lashes so after curling them this helps the curl last for the entire day. It volumizes my lashes and makes them look thicker as well. I have oily eyelids and because of that it may actually cause some of the mascara to smudge under my eyes just a lil' bit but it's not a big deal (if you don't have oily eyelids then this is not a problem for you!). The brush is pretty big and it's a feature that I like. I don't have many Covergirl products but this is one that I highly recommend. 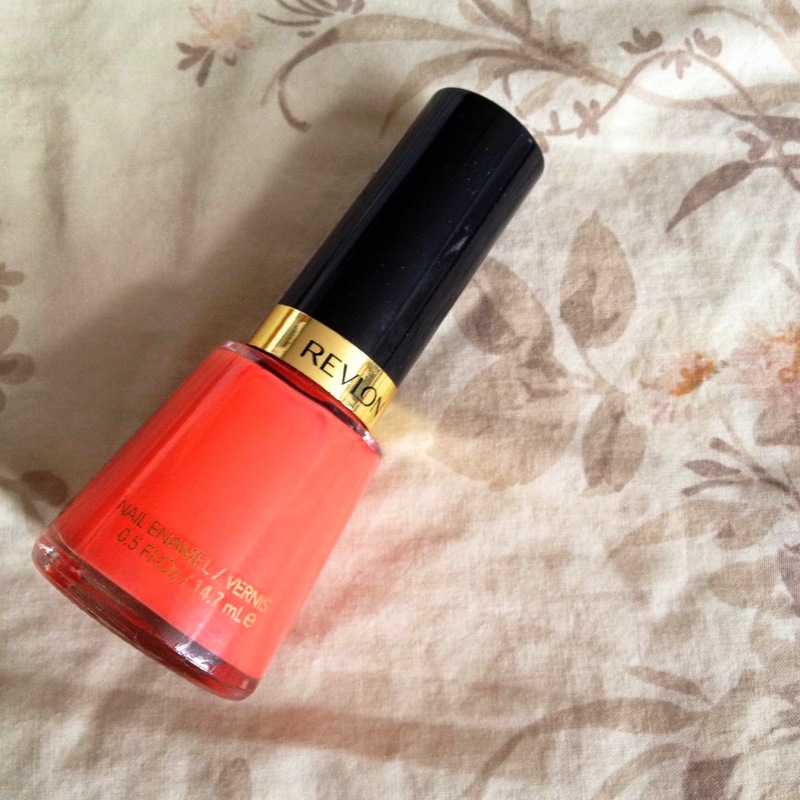 Coral is always a hit summer nail colour. It's bright. it's fun, and it's a good medium between red and pink. I find that Revlon nail polishes are among the best for several reasons: the polish is very pigmented, only two coats are needed for an opaque cover, and the brand has a wide range of colours and finishes. The polish is very long-wearing as I was able to wear it for almost a week before it started chipping. It's a flattering colour on everyone so you should get your hands on a coral nail colour if you don't have already! The Body Shop has such great products, from skincare to shower to makeup. I've tried many things from the store and this is one of them. I bought this from the Body Shop in Hong Kong but this is sold in Canada as well. These body butters are well praised by the general public. 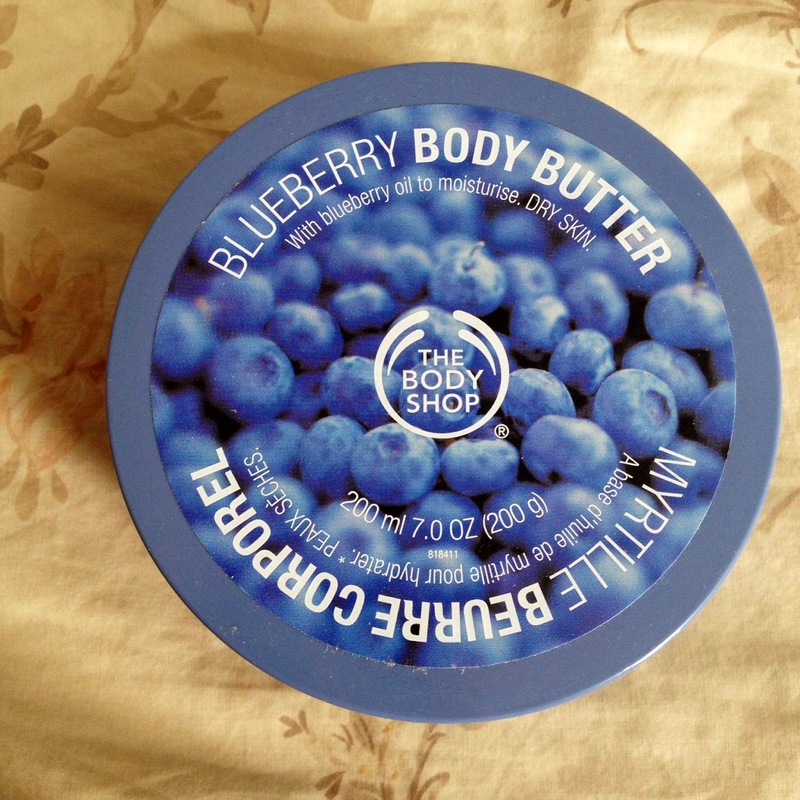 You hear of how the Satsuma, Strawberry, and/or the Shea butters are amazing, but the Blueberry body butter needs to be discovered! It's not one of the usual ones that people are first attracted to but give it a chance! One big characteristic that I like is that the fruity smell is not overpowering. I find that some of the ones offered at Body Shop have too strong of a fruity fragrance to it (as quoted from my mom "You smell like a walking fruit!"... which isn't meant to be a compliment coming from her haha). This smell from the blueberry butter is not as strong but still smells lovely. It is meant for dry skin so it's able to lock in moisture very well, especially after a shower. You've probably heard of how your brows play an important role in framing your face, and I totally agree with that. People tend to notice how your eyebrows look so you want to make sure that they're put together. I'm very grateful that my eyebrows are originally nicely shaped and adequately thick, the only thing that could be worked on are the patches and sparseness in some areas of my brows. 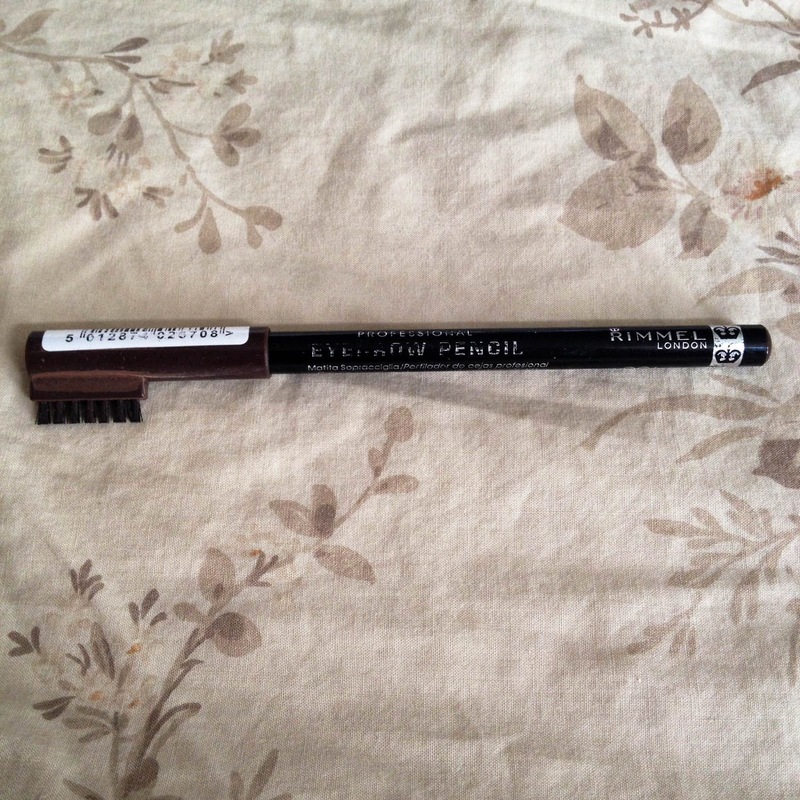 I fill them in everyday with this eyebrow pencil. This is very cheap and it comes with a little brush on the cap to brush through your hairs. You want to find a colour that is slightly lighter than the colour of your hairs so that it won't look too dark after filling them in. We want to continue looking natural! Rimmel offers several colours and this shade "dark brown" works the best for me. The pencil tip glides on smoothly and is not abrasive to the skin as some can be when the tip is very hard and dried out.